Iam SEO expert and I have lot of experienced of different marketplace. I give you Special service to permanent Google 1st page Ranking. I have many social media followers of Linkdin, instagram twitter,facebook, to usa, uk, australia, canada, and more city. 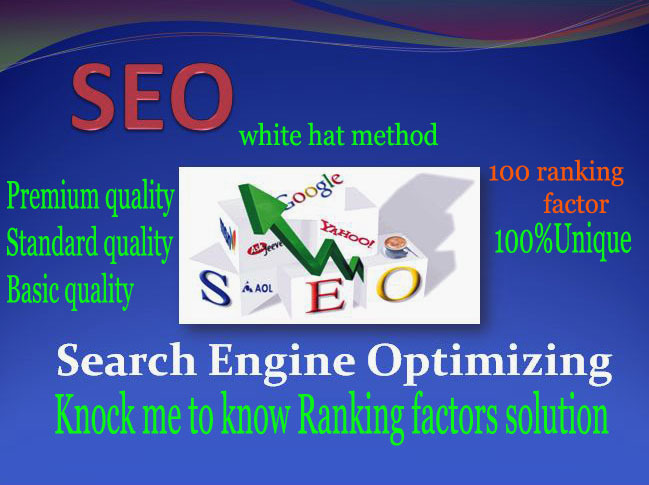 I also start from a deep analysis of your competitors SEO strength, their secrete keywords using Alexa etc. applying Update Google algorithm rules. Would you like additional time on your premium campaign? Simplyadd my additional month gig extra for as many months as you need.